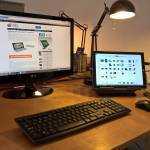 You Like Dockable Tablets – Report. I heartily agree with the #1 choice because there’s a design issue with all single-unit devices that was obvious to some of us from day one that is now becoming apparent in reviews. 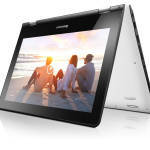 Take the Lenovo Yoga for example. It was obvious from the first time I touched it, back in Jan, that it wasn’t going to work as a tablet for most people. Nothing over 1KG/2.2lb ever does work well as a tablet for the mainstream audience. I owned a rotating touchscreen device at 1.4KG and although I used it for over a year (here’s my long-term test), I never used it in tablet mode in earnest. I used the touchscreen a lot, but not the ‘tablet mode.’ Heavy tablets don’t work. 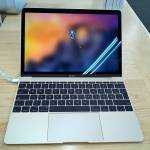 The rotating touchscreen design has it’s uses though and I can see why it’s the #2 favorite Ultrabook touchscreen design. Being able to twist a screen is an advantage even without touch. Just being able to show someone across your desk an image without getting tangled up in video and power cables i s something I miss. Laying the device flat on a table for signatures and annotations is also a useful and practical scenario. So what about the other designs? The standard Ultrabook with fixed touchscreen came in at #3 and I’m happy about that because it shows that many of you readers see that a touchscreen can be useful even in table-top mode. I demonstrate fixed touchscreen use cases here. You can get an ASUS X202/S200 for just $499/€549 now so it also shows that retro-fitting a standard design with a touchscreen doesn’t cost much. The fixed touchscreen is #3 favorite but could be the #1 seller in terms of numbers. The #4 and #5 results made me think. Personally I’m not a fan of the ASUS Taichi design. 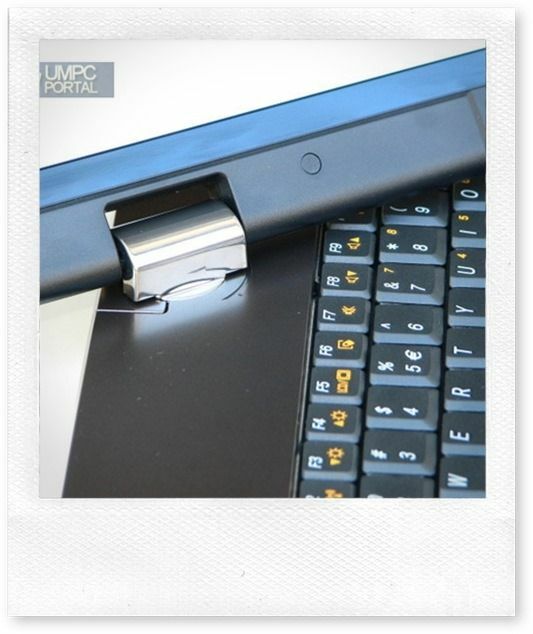 It doesn’t have a touchscreen on the ‘laptop’ side of things and it’s too heavy to be any use as a tablet. It does have the advantages of a 180 degree rotating touchscreen with a standard hinge though and I think that’s what people have gone for there. I think it’s my drive for efficiency that keeps me from liking this expensive setup but if someone gave me one, I’m sure I’d use it….if it had a touchscreen on the working fascia in laptop mode. Finally there’s the slider. We all love the slider designs because they look cool. Remember the HTC Shift anyone? What about the Samsung TX100 (that never made it to market but could be an interesting CloverTrail-based design now.) These devices have a Wow! factor that no other device has. I am desperate to get a review of the Sony Vaio Duo 11 even though I know that the hinge mechanism steals keyboard space, limits screen angle adjustment, increases the chance of a hinge failure and increases cost. At 1.3KG / 46 oz. it’s going to make a terrible tablet too. In my heart, it’s up at #2 but my head, and you sensible voters, put it at the bottom of the list. Why, 36 people, did you vote for it as your favorite? One hint comes from Clio on the comments on the poll. The Sliders and Double-sided fixed touchscreen designs allow immediate use without having to open the lid, or worry about detaching and putting away keyboard dock. OK, I’ll give you that. It’s quick to go from tablet to laptop. 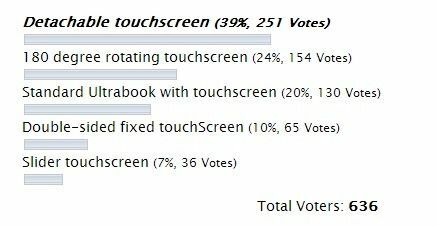 Based on these poll results I’ll be putting together a “Detachable Ultrabook Availability” post soon and doubling efforts to get review devices in. The Transformer Book is unconfirmed at €1499 but I expect that to get an immediate reduction before official availability (Jan, we hear) because the Acer Iconia W700 / W710 is available now at $770.46, without keyboard but with docking ‘frame’. 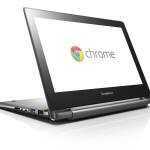 The Samsung Smart PC Pro 700T is showing at $1200 with docking keyboard. These prices will change soon because competition is coming soon from Microsoft Surface Pro. 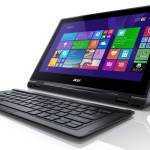 It’s not an Ultrabook, but could hit the mark for productive touchscreen PCs if the price is right.